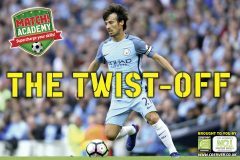 The Twist-Off is perfect for helping you shield the ball from opponents who are to the side or in front of you. 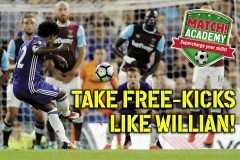 Eden Hazard’s right up there with the best tricksters in the Premier League, and one of his fave skills is the stepover! 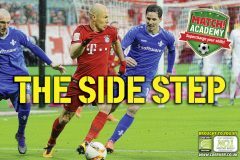 This will make you tough to defend against, because the mechanics of the first part of both moves looks the same! 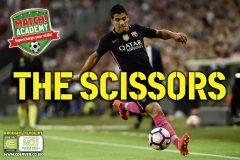 Barcelona goal king Luis Suarez is a total expert at The Scissors – he uses it to create space either side of opponents in front of him. 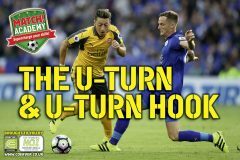 Ace Arsenal playmaker Mesut Ozil loves shielding the ball from opponents to his side or in front by using the U-Turn. 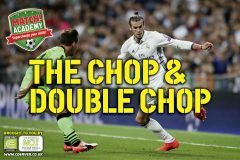 Real Madrid and Wales megastar Gareth Bale uses the Chop or Double Chop 1 v 1 move to create space and change direction from opponents closing him down diagonally from the front or behind. 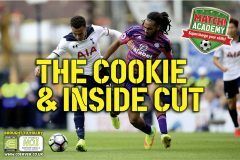 It looks totally sick, too! 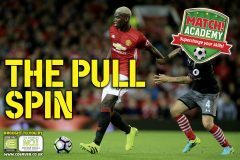 The Pull Spin’s one of the most famous skills in footy – it’s also known as The Maradona, Marseille Turn, Roulette, 360 and Double Drag-Back!